California statute 527.6 defines harassment as "unlawful violence, a credible threat of violence, or a knowing and willful course of conduct directed at a specific person that seriously alarms, annoys, or harasses the person, and that serves no legitimate purpose." The conduct by the abuser must "cause a reasonable person to suffer substantial emotional distress, and must actually cause substantial emotional distress..."
As California law makes clear, domestic abuse can be verbal, emotional or psychological in addition to being physical. Such abuse can take the form of stalking, phone calls intended to frighten you, threats of violence, letters or emails that annoy or intimidate you, bullying, name-calling, insults and various other methods of exerting control and power over you. If you are verbally abused by your spouse, you can file for a domestic violence protective order from the court that requires him to keep his distance from you and your children. As the Divorce Law Firm website states, in a normal divorce proceeding, you can't make your spouse leave the house. But since verbal abuse is considered a form of domestic violence, a protective order may be granted that requires him to move out. Various behaviors by a spouse or by someone you might be dating may be indicators of verbal abuse, according to the Los Angeles-based Stolar & Associates law firm. If you are with someone who tries to take the relationship to the level of marriage too quickly; someone who wants to control your behavior and actions; someone who makes you feel guilty, anxious or afraid; someone who calls you names and makes you feel inferior; someone who tries to limit your contact with family and friends, you are with a potential or actual verbal abuser. This type of behavior often leads to physical and sexual abuse. DivorceLawFirms.com recommends you file for a contested divorce rather than a no-fault divorce when you are the victim of verbal abuse. A no-fault divorce requires you to collaborate or mediate with your abusive spouse to work out the terms of your divorce, and such close contact may lead to further abuse. Verbal abuse, especially if directed toward your kids, is an important consideration in child custody hearings, and such evidence might limit your husband's access to the children after the divorce. DivorceLawFirms.com: Verbal Abuse and Divorce: Impact of Spousal Rights? 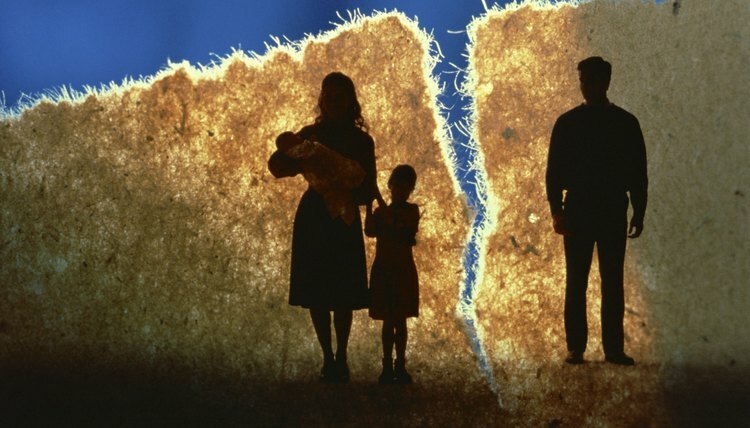 Tennessee law favors joint custody when couples divorce, but Section 4:1.04 of the state's code instructs judges that "in domestic abuse cases, joint custody is inappropriate." If a judge follows this rule and does not order joint custody after an abusive marriage, it's unlikely that he would give sole custody to the parent who made joint custody inappropriate through his abusive behavior. This would effectively reward him for committing the abuse.